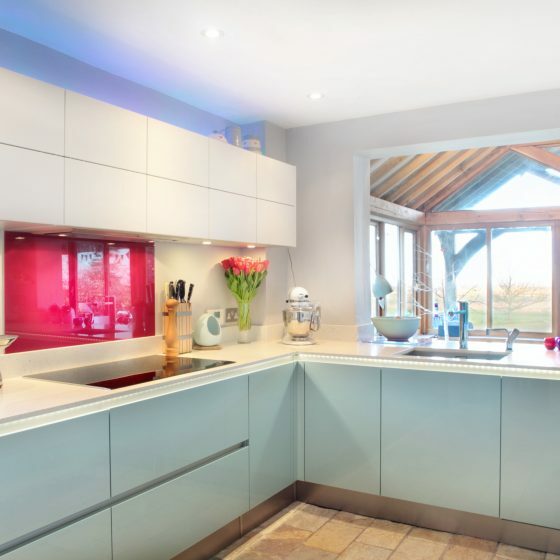 We designed and installed this kitchen in the charming town of Weston Turville. 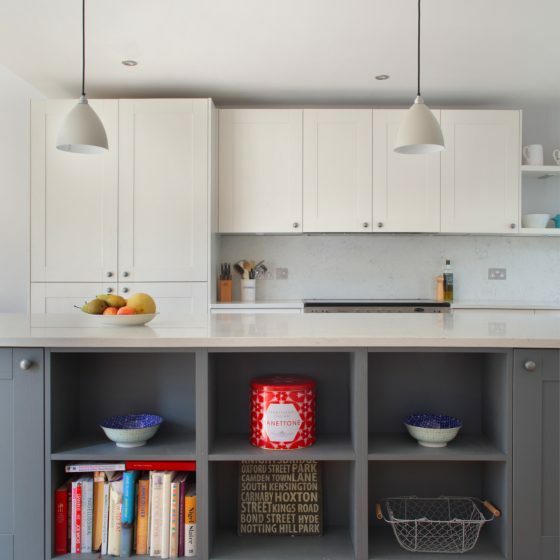 The space is designed to be both light and inviting; the grey matt handleless doors give this space a contemporary feel. 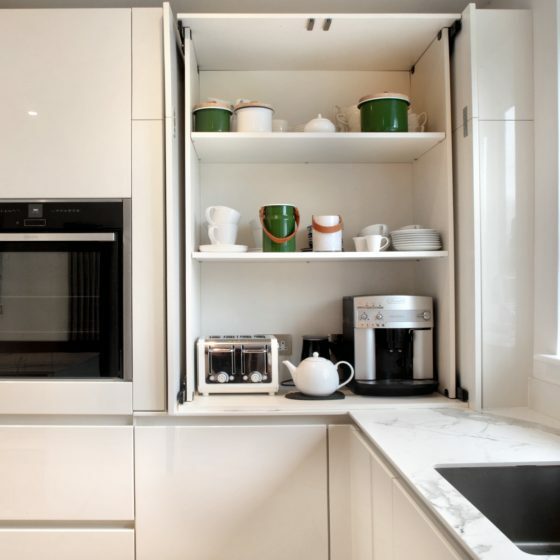 With an abundance of storage, such as open shelving roller shutters, this kitchen is modern and practical – ideal for family life.